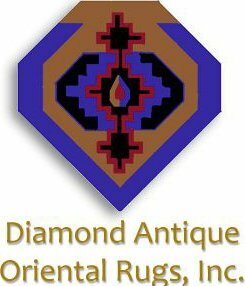 Company Name Diamond Antique Oriental Rugs, Inc. Description Handmade vintage and antique rugs, kilims, wallhangings, cushion covers and more. Imported by us from Turkey including Turkish, Persian and Russian. Chosen for their beauty, quality and authenticity. We also provide expert cleaning and restoration services. Hours of Operation Monday - Friday 8:00 AM to 5:00 PM, Saturday 9:00 AM to 4:00PM.